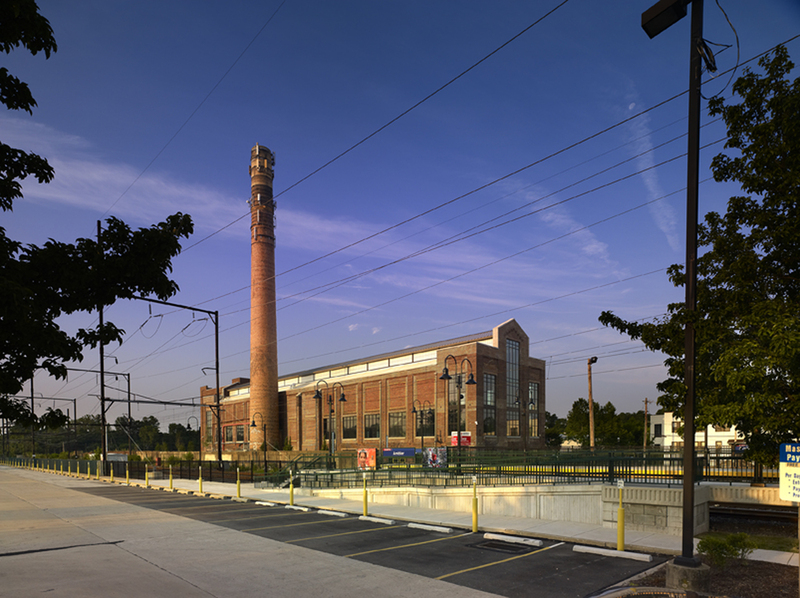 HSA’s adaptive reuse design of this abandoned boiler house has created a state-of-the-art LEED Platinum office space, while carefully preserving key elements of the well-known landmark and following Ambler's revitalization. 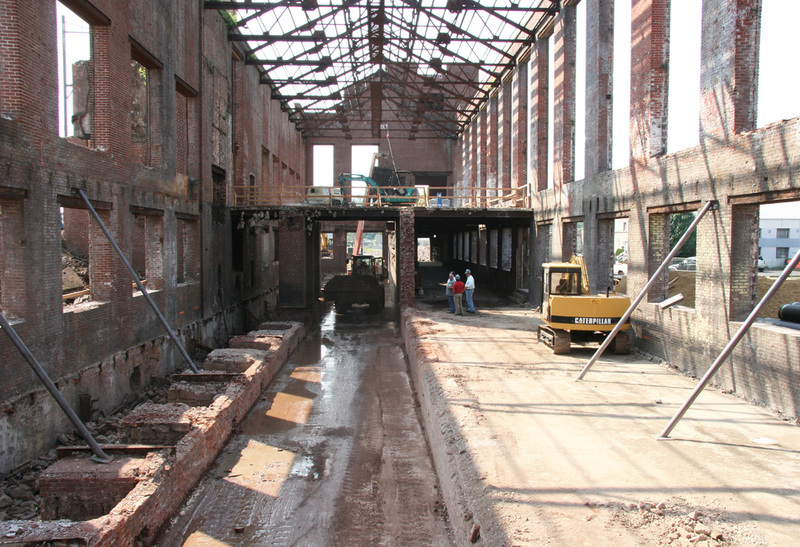 Originally constructed in 1897 as a power-generating station for the production of asbestos products, the Ambler Boiler House project illustrates design success in transit-oriented adaptive reuse, brownfield redevelopment, and creative project financing. 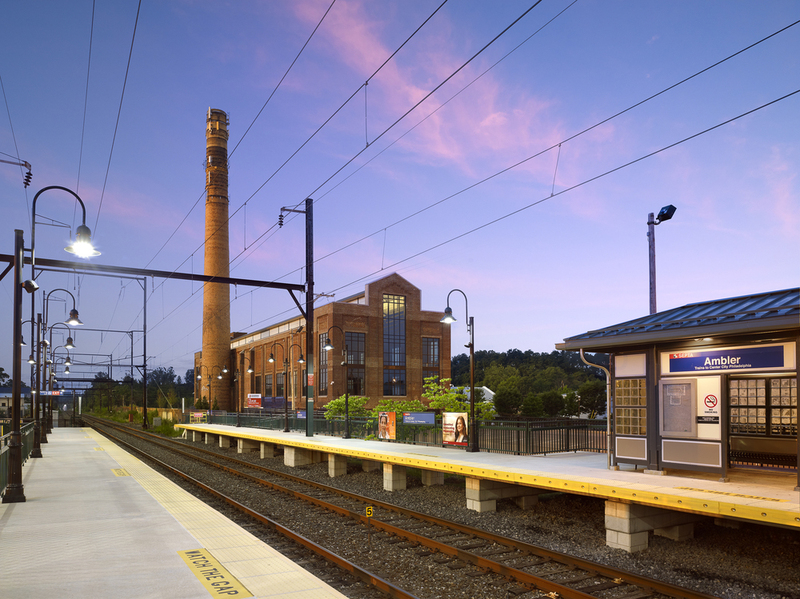 With close proximity to the SEPTA regional rail station, existing roadways and available utility services, the project is a responsible approach to commercial development. Encouraging public transportation and utilizing infill development principles, the site is merged into the existing downtown density. 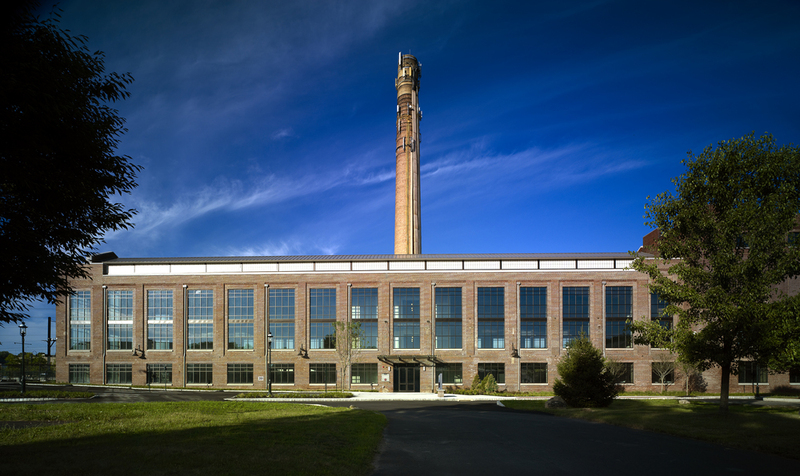 Sustainable principles were followed to ensure energy efficiency (utilizing a geothermal system), lessen material landfill, avoid potable water waste and provide a healthy office space.